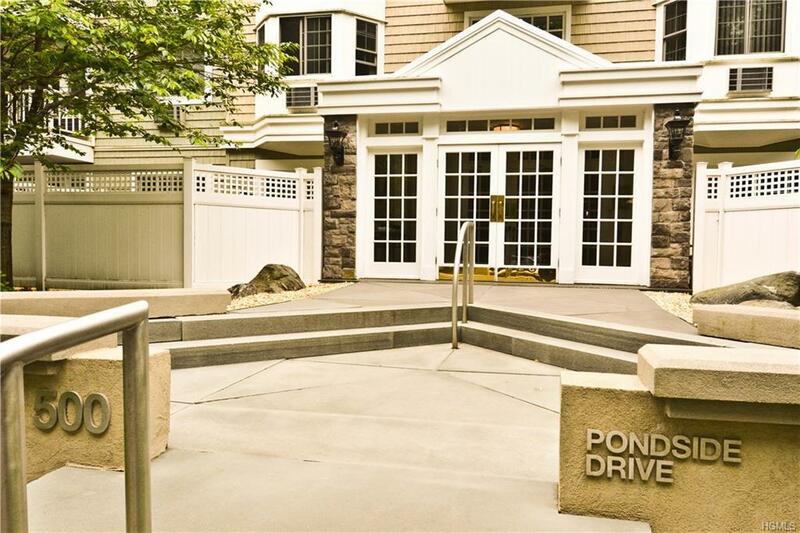 Mint luxury condo in highly desired Pondside gated community. 750 square feet w/ entry foyer, updated open kitchen w/ stainless steel appliances, living/dining room w/ door to terrace, updated hall bathroom w/ granite sink countertops, large bedroom, walk-in-closet, new washer/dryer in the unit, and the community has a pool, tennis, clubhouse, storage, playground, gym, assigned parking, visitor parking and more. Luxury living at its best!